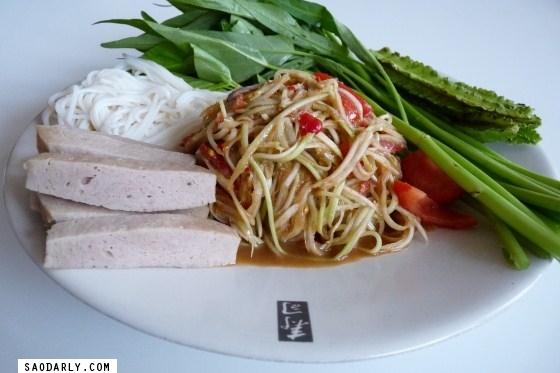 Lao Green Papaya Salad or Tum Maak Houng for lunch with vermicelli noodles, winged beans, morning glory or phak bong, and Vietnamese pork sausage or Moo Yor. 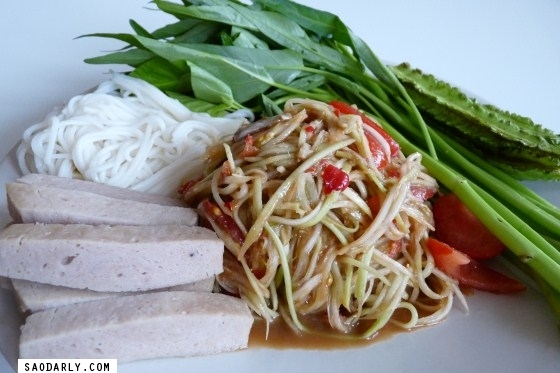 I have never eaten this type of sausage with green papaya salad before and wanted to test it out. 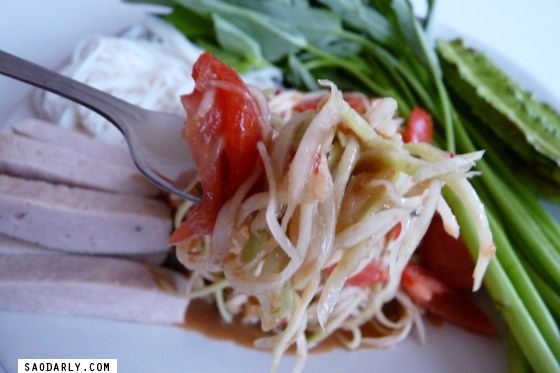 The combination was good but I prefer grilled chicken with green papaya salad.